Historical fiction is one of those concepts that gaming handles best. Whether it's Einstein building a time machine to kill Hitler or assassins battling Templars in the Renaissance, gaming alone among popular media allows people to interact with a world both familiar yet radically different from our own. 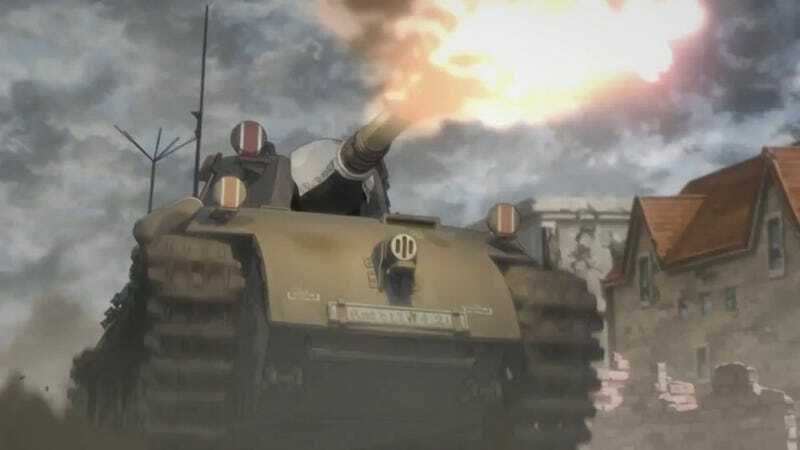 Valkyria Chronicles is one of the best examples of historical fiction in gaming–and like all good historical fiction, there is generally one single thing that causes the world to diverge from established history into a newly conceived, intriguing world. In the Valkyria Chronicles universe, this object is called ragnite. It is a mineral that when mined and refined can do anything from power a tank to light a room. But while on many levels ragnite may seem to be little more than their world's version of petroleum, it can do one amazing thing that petroleum cannot. Ragnite can heal practically any wound almost instantaneously. It is no surprise then that in Valkyria Chronicles, ragnite is the most sought after commodity in the world. In fact, both Europa Wars–their equivalents of World War I and II–were caused by the ever dwindling supply of this non-renewable resource. But while the Federation and the Empire may seem like simple replacements for the Allied and Axis powers respectively, the Empire especially is more complex than its real world counterpart. The Empire stretches from Germany to far into Russia and has neither a Fascist nor Socialist government. Rather it is an Empire made up of countries closely connected by a complex network of marriages between royal families. This seems to imply that the Empire is actually the modern-day iteration of the Hapsburg's Holy Roman Empire. But just as interesting as the differences between the real and imagined worlds are, so are the similarities. Other than similar wars happening at similar times, technology remains largely the same. Many of the Imperial weapons seen in the game are based upon–and sometimes share the name outright with–German-designed weapons of the Second World War. This includes the tank designs as well. Similarities continue into cultural issues, with the oppression and confinement of an innocent race of people, the Darcsen, mirroring the Holocaust (though we never see any overt death camps). The Valkyrur themselves mirror many of our myths and legends–particularly Norse ones–as well. One of the most interesting ways to look at historical fiction is to look at the commonalities you would expect to find but that aren't there. The most notable of these in the world of Valkyria Chronicles is the airplane. While tank technology is decades ahead of what the real world's was (possibly even more when you look at the Empire's super-tanks), airplane technology is still in its infancy. The only plane we see in the series is the ISARA, a cloth-winged experimental biplane. It looks like something built in 1910, not something made in a time when our world was developing the first jet engines. From a story standpoint, the lack of airplanes turns the Second Europa War into a land battle–which is handy for a plot focused on ground soldiers. And it's also interesting to contemplate what exactly it is about ragnite technology that has so stunted the development of the airplane. In the end, historical fiction is just another version of one of the most enjoyable questions we can ask: "what if?" How fascinating that the simple addition of a new type of mineral can be the center of a thought experiment that creates a world staggeringly different from our own, yet eerily the same. And unlike TV and movies, games let us explore these worlds like no medium before–and let us interact with these worlds, not just view them from the outside.